Former Pastor of the Prosperity Missionary Baptist Church in New Boston, Texas; for 10 years. Holds a Bachelor’s and a Master’s degree in Business Administration from Texas A&M University in Commerce, Texas. Holds a Doctorate of Divinity from Arkansas Baptist College in Little Rock, Arkansas. Studied at Southwestern Baptist Theological Seminary, Dallas Theological Seminary and Southern Bible Institute in Dallas, Texas. 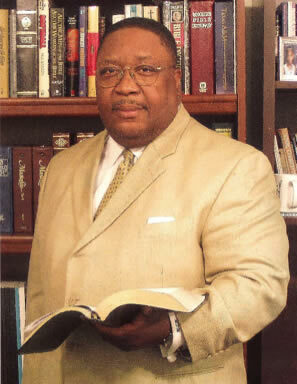 Lecturer for the Advanced Leadership Division, National Baptist Congress of Christian Education. President of the BM&E State Congress of Christian Education of Texas. President of the Lincoln Southern District Congress of Christian Education of Texas. Married to Eleanor Jenice Hillard for 40 years; father of one son, Stanley T. Hillard, Jr. Teacher, evangelist and facilitator throughout the nation.